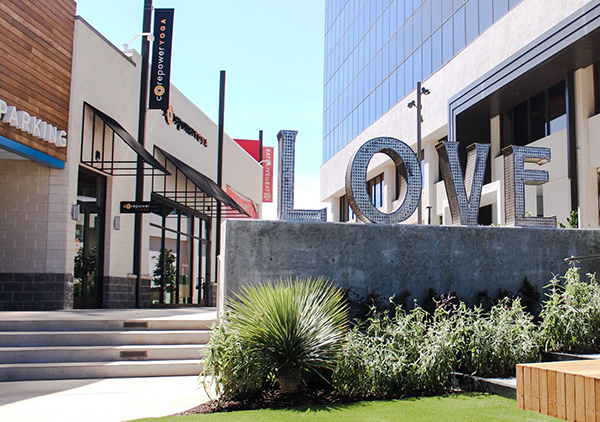 Nestled along the Trinity Trails, WestBend offers a curated collection of contemporary fashion retailers, pop-up shops and must-try restaurants, including HG Sply Co. and bartaco, in the bustling University District. - Explore an extensive selection of expertly crafted menswear at Bonobos. - At Warby Parker, find your next pair of designer frames at a revolutionary price. - Amp up your beauty routine at Bluemercury, featuring an in-house spa. - Add a dose of California style to your wardrobe with Marine Layer. - Indulge in designer apparel and accessories at Fort Worth-founded Pax & Parker. - Show off your school pride with Tyler's collegiate clothing collection. - Pop in to Dear Hannah, to explore the season's hottest trends.